Kids, what happens if negative gearing goes? This is going to be most relevant to younger buyers, but it should also be interesting to investors in general. What happens to you if negative gearing goes? Now I don’t know if it is going to happen. And I’m not here to take a position either way. But Labor is still talking about it, so what will it mean? But I’m not sure if they fully understand the implications. The standard argument goes that negative gearing distorts the market and allows investors to pay more for a place than they otherwise would have. Therefore, if we remove negative gearing, prices will come down and I’ll be able to afford a place next door to that fabulous new café. Sounds good in theory, but look, it’s just not that simple. Forgive me if I’m covering familiar ground here, but negative gearing does change the numbers. But the key change is the relationship between prices and rents. If you’re an investor that’s the metric that matters. How does the return on my investment compare to the price of my investment. So at a given rent, there is a price where the property is making money for the investor. There is higher price where the property is breaking even. And there is a higher price again where the property is losing money. So let’s say that an investor has been told to just go out and buy any negatively geared property for the tax benefits (like a lot of investors were!). If they’re happy to negatively gear, then they’re happier with a higher price. 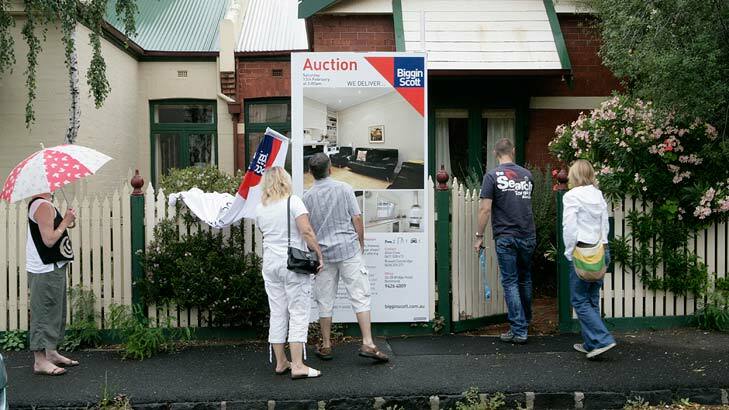 Negative gearing helps properties sell for more than they otherwise would have. So that means that if we remove negative gearing, prices will fall right? Well, not exactly. If negative gearing is removed, the property investor is now losing money for no good reason. But they’re not just going to cop a loss on the chin, so they’re going to come back to the rent:price ratio. At current rental prices the property is losing money. But there is a rental price which puts the property back in the money. So maybe negative gearing goes and your landlord just jacks the rent up $50 bucks a week. To me this is the most likely scenario. If negative gearing goes investors will be revisiting their rents and making doubly sure there isn’t a way to squeeze some extra income out of the property. Now in many markets this won’t be such a problem. Rental prices are set by what people are willing and able to pay. In a slack rental market, investors won’t be able to do a whole lot to increase rents. But if you’re in a tight rental market where there are people waiting to take your place, or maybe the idea of moving is just such a headache that you’re willing to just cop it, then you end up holding the baby. Are you in a market slack enough to be invulnerable to rental increases? Are there people who want to live where you live? If not, could you handle paying an extra 10% or 20% a week? If your rent did go up, what impact would that have on your ability to save for a deposit and get out of the rental trap? There are a lot of market specific factors to consider here but my only point for young buyers is this: if you’re banking on the removal of negative gearing making it easier for you to get into the market, don’t be so sure. We know that it is the deposit hurdle that is the biggest obstacle for young buyers. If your rent goes up, then it’s even harder to save up the money you need. And imagine that somehow the removal of negative gearing does have a big impact on prices. I don’t see it happening, but let’s say they fell 10%. Let’s say the house you want costs $1m. A 20% deposit is $200K. Now prices fall 10%. The property now costs $900K. A 20% deposit is 180K. So even a 10% fall in prices (which would be massive – practically unheard of) only saves you $20K. The reality is likely to be much less. So as much as I hate to be the bearer of bad news, sorry kids, there is just no easy answer. Like most things in life, if you want to craft your own story with property, you need to take matters into your own hands. See me after class for details. What would your advice to young kids be?